Our tennis writer looks at two of the quarter-finals from the men's draw of the 2018 China Open. Serbian Filip Krajinovic is certainly going to have his work cut out for him as he faces one of the form players in world tennis this week. The Serb burst onto the scene at that almost absurd Paris Masters event towards the end of last year, losing to equally unfancied Jack Sock on the Parisian hardcourts. He hasn’t really come close to those heights since then, plagued by issues with fitness. He did alright in the early hardcourt campaign, reaching the quarter-finals of the Open 13 and semi-finals in Dubai. Perhaps more encouraging was a run to the final 16 in Miami, a result which I will touch on later. Since then his year has been fairly nondescript. Having said that, his form this week has been impressive. He accounted for two wily campaigners- Misha Zverev and Feliciano Lopez- in straight sets. ‘Delpo’, as he is affectionately known, has rebounded from multiple wrist injuries to perhaps enjoy his best ever season on tour- US Open victory aside. The signs were ominous with a run to the final of his first event in Auckland. He had a disappointing Aussie Open but then went on a magnificent run. He won the Mexican Open before claiming that epic title in Indian Wells. He would reach the semi-finals in Miami before exceeding expectations at the French, running into Rafa Nadal in the semi-finals. He lost in heart-breaking fashion to Nadal once again in the quarter-finals of Wimbledon. He then went on another sparkling Grand Slam run at Flushing Meadows, losing to Novak Djokovic in the final. Del Potro has looked imperious thus far, overcoming Ramos-Vinolas and Khachanov in straight sets. Delpo leads their head-to-head 1-0, having overcome the Serbian in utterly convincing fashion in Miami earlier this year. Let’s be honest, the smart money is certainly on a Del Potro victory here. He is in splendid form and is fine-tuning his game ahead of the ATP World Tour Finals. One area of ambiguity regarding Delpo is that knee of his. He has had the trainer out a few times this week and it may become a factor should Krajinovic really push him. But Del Potro in straight sets at 5/10 seems fair to me. Brit Kyle Edmund burst into 2018 with an Aussie Open performance that seemed to herald the arrival of a potential Major threat. But things haven’t exactly gone to plan for the Brit, beset by both injury and poor form. Directly after the Aussie Open he would go on to lose three consecutive matches. He then had a mini-revival, reaching the final in the Grand Prix Hassan II. He followed that up with a promising start to the clay-court season, reaching the quarter-finals of the Madrid Open before a decent run to the final 16 of Rome. He failed to really make an impact during his home period on grass, culminating in a third-round loss at Wimbledon- albeit in a tight four-setter to eventual champion Novak Djokovic. He had a poor season on the American hardcourts, with only a quarter-final at Winston-Salem to really show for it. He overcame Gojowczyk and Berrettini in the previous rounds, though both matches were exceptionally tight three affairs. Dusan Lajovic has been on the tour for some time now, earning the status as something of a journeyman. 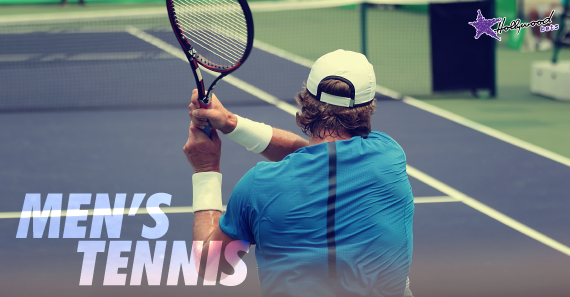 He has had a steady year though, reaching a career-high singles ranking of 53 in September. His year began in interesting fashion, with an absolutely epic five-set first round loss to Diego Schwartzmann in Melbourne. He won the Challenger Gosier event, which sparked a decent little run of form. He reached the quarter-finals in Madrid before a semi-final in an admittedly less-than-stellar Lyon Open. He reached quarter-finals in similarly understated events in Croatia and Austria. A third round run at Flushing Meadows indicated how dangerous he can be. That serve, which has reached as high as 232 KPH, has the capacity to nullify opponents. He beat Dimitrov in the last round and must be respected this week. While Kyle Edmund leads the head-to-head between the two 2-0, both of those victories were back in 2016. I feel that Lajovic’s victory over Dimitrov makes him a very attractive underdog at 23/20, especially when you look at Edmund’s erratic form in the last half of the season.